Luxurious villa with sea view, just 3 km from the coast and halfway between Imperia and Sanremo, with over 2 hectares of land, panoramic pool and tennis court. Measuring around 616 sq.m in total, plus large terraces and porh, various living spaces, 7 bedrooms and 8 bathrooms. Villa Riviera is a fabulous villa for sale in a hilly and panoramic location, just 3 km from the sea and with a breathtaking view of the Ligurian sea, between Imperia and Sanremo. The property comprises the impressive villa, measuring around 616 sq.m, surrounded by large grounds of 2.6 hectares with lawn, infinity pool with hydromassage, and tennis court. It is situated almost halfway between Imperia (13 km away, 20 minutes’ drive) and Sanremo (18 km away, 25 minutes’ drive), in the heart of the Riviera dei Fiori, well known and loved throughout the world due to the scenery and traditional villages. Genoa, 123 km away (reachable in just over an hour’s drive), and the French city of Nice, 70 km away (50 minutes’ drive) are the nearest big cities, with international airports. Due to the layout of the Liguria region, Villa Riviera is situated just 100 km (an hour and 45 minutes) from the well-known Limone ski resort (in Piedmont), and just three quarters of an hour (55 km) from the Principality of Monaco. The property is easily accessible via the A10 motorway, with the nearest toll booth 13 km away. Villa Riviera is a luxurious residence, ideal for one or more families. The building has two floors above ground, plus annexes with utility areas near the pool. On the ground floor there are 5 bedrooms (one of which is the master bedroom measuring 26 sq.m with walk-in wardrobe and en-suite bathroom) all with sea view, 6 bathrooms, a pretty kitchen and three separate living spaces ideal for impressive lunches or dinners and lively gatherings in the beautiful frescoed living room. On the first floor there is a studio with foyer, a second small kitchen, another large bedroom and two bathrooms: if desired, it would be possible to make this area separate from the floor below. The design of the villa, completed in 2016, is a perfect blend of ancient and modern: some rustic and historic elements, such as the local stone and the frescoes, have been meticulously restored and fit perfectly with the furniture chosen for the property which is included in the sale price and is embellished with marble, botticino marble and exotic woods. The best feature of this villa, which is situated in a Unesco World Heritage site, is that it is possible to enjoy the sea view and access the outdoor area from almost every room, both on the ground floor and the floor above, due to the large terraces or the porch that provides access to the pretty pool area. In addition to the main building, there is also a large storeroom and an underground garage, accessible via a second driveway. The villa is surrounded by over 26,000 sq.m of grounds, with terraced areas and mediterranean woodland plants such as jasmine and cactus, with decorative elements made from local rock. Around 2,600 sq.m is flat, manicured lawn, featuring a large saltwater infinity pool (14 x 7 m), with hydromassage area in travertine tiles, plus a clay tennis court. The ground floor also features a pretty porch with columns that measures 49 sq.m, with a terrace of the same dimensions directly above, plus two other large terraces on each side, all adding up to 211 sq.m in total. All the outdoor areas provide a stunning view of from Levante to Ponente and even as far as Corsica on clear and calm days. The villa benefits from two driveways, and a large covered parking area that can also be used as a helipad if necessary. The property is one of the most prestigious residences on this part of the coast and is an impressive home ideal for extended families. It would also be a perfect investment opportunity, to rent out on a short-term basis to both national and international high-end clients, with the additional possibility of hosting events. 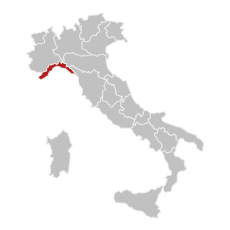 Characteristics: Liguria is one of Italy's smallest regions, with a mountainous landscape, interrupted by numerous valleys along which numerous rivers flow that open onto beautiful coasts, appreciated by tourists from all over the world. Genoa, a city rich in history which has always been linked to the sea and trade, is today an important touristic, cultural, scientific, musical and academic center and its gulf hosts the most important Italian port. Here we also find the famous Cinque Terre, a scenic area with rugged coastline, rich of gulfs, bays, beaches and deep waters, topped by terraces planted with vines and olive trees. Liguria enjoy a privileged climate: the winters, due to the mountain range behind its back which protect it from cold currents, are mild, while in summer the air is freshened by sea breezes. Property offer: Liguria is particularly appreciated by foreign buyers, who prefer luxury residences on the sea or nearby the sea and apartments in historical centers of the coast and particularly in Portofino, Santa margherita Ligure, Rapallo, Camogli, Chiavari, Sestri Levante, Lerici, Portovenere, Levanto, Sanremo, Alassio and Bergeggi. Modern villa with panoramic pool with lake view.